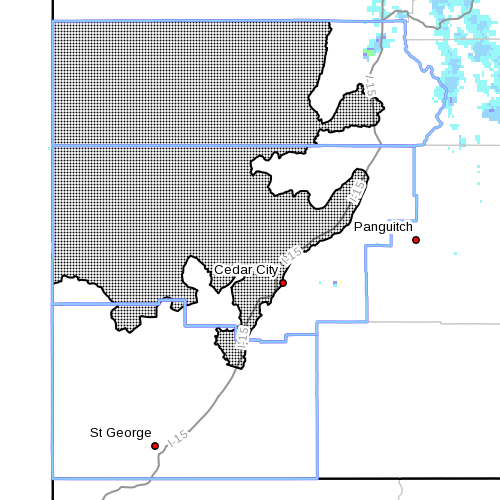 SOUTHWEST UTAH – The National Weather Service has issued a “Hard Freeze Warning” in effect from midnight Tuesday to 9 a.m. Wednesday for Beaver, Iron and Washington Counties, including in particular the cities of Beaver, Cedar City and Milford. Low temperatures will be in the mid to low 20s. A hard freeze warning means subfreezing temperatures are possible. These conditions will kill crops and other sensitive vegetation if they are left unprotected. Subfreezing temperatures will kill crops and other sensitive vegetation if they are left unprotected. Strong and gusty northwest winds are expected to continue until 10 p.m. The high wind warning include speeds from 40 mph up to 58 mph and could potentially lead to property damage. High profiled vehicles can be especially difficult to control and motorists should take extra caution on bridges, overpasses and in unsheltered areas.